You can also achieve pink lips by scrubbing your lips with your toothbrush every night after brushing your teeth.You should only use a soft brush this can remove the chapped, dry skin that forms around your lips, making them appear fresh. 9. Smoking should be avoided. 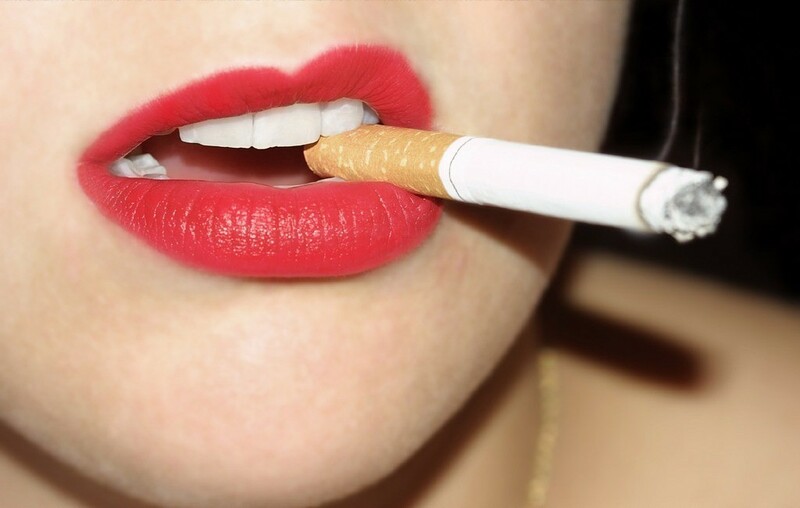 Smoking not only deteriorates health, but also makes lips dark.Avoid drinking excess of tea and coffee. In conclusion, Caffeine is another important factor for dark lips.Avoid direct contact of sun. Constant exposure of U.V rays results in dull lips. Lip balm with at least 15 SPF should be applied to lips in case you are out in the sun. Avoid licking lips as this can make lips dry and chapped.Eat skin nourishment food with minerals to make lips beautiful. Fruits and vegetables are a good source of vitamins and minerals that nourishes our skin.Drinking 8 glasses of water every day will help to keep lip skin soft and prevent it from dying.